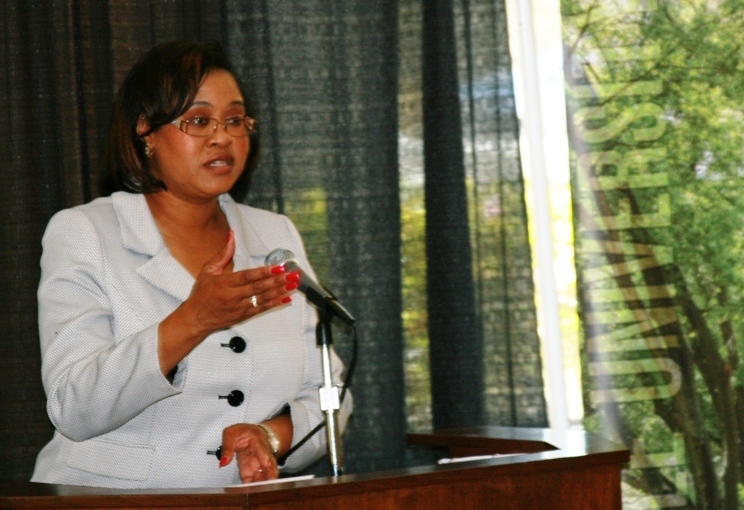 That was part of the keynote message of Florida Rep. Mia Jones, D-Jacksonville, recipient of the Community Woman of the Year award at the 17th annual Jacksonville University Women’s History Month Celebration on Tuesday, March 10. Jones thanked her mentors and colleagues for helping guide her on her path, including the late Shirley Chisholm, the first black Congresswoman and first major-party black candidate for U.S. President; the late Mary Singleton, the first black woman elected to the Jacksonville City Council; former state Sen. Betty Holzendorf; U.S. Rep. Corrine Brown; and Dr. Kelli T. Wells, director of the Department of Health in Duval County. She also had praise for JU President Tim Cost, who has selected 11 women for his first 14 key appointments since taking office in February 2013. 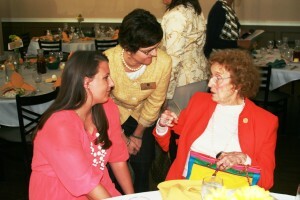 JU’s event was held in conjunction with National Women’s History Month. Emcee Annmarie Kent-Willette, a JU Communications professor currently serving as Jacksonville’s Education Commissioner for a two-year term, offered insights into the progress of women worldwide over the past two decades – and gains still needed. The gender gap in access to primary education has virtually closed globally. Girls and boys enroll in primary school at nearly equal rates worldwide—a major achievement. Poor, rural, minority and conflict-affected girls are significantly less likely to be educated. Among primary school-age children, 43 percent of those out of school are girls from the poorest household quintile. Almost two-thirds of the world’s illiterate adults—496 million—are women, many of whom are disadvantaged. Women now outnumber men in universities. However, inequality in science, technology, engineering, and math (STEM) studies persists. In fact, in 2010, women earned approximately 18 percent of all computer science bachelor degrees in the United States, down from a high of 37 percent in 1984. Women remain underrepresented in leadership roles. Almost twice as many women hold political office today compared with 20 years ago, but they are still very much a minority, occupying 22 percent of seats in national legislatures. Women are not adequately represented in diplomatic efforts. Despite the passage of UN resolutions calling for women’s involvement in peace and security processes, fewer than 10 percent of peace negotiators are women. Women’s leadership in the private sector has increased. However, women remain vastly underrepresented in senior management positions. The share of female CEOs in Fortune 500 companies was zero in 1995; now it is 5 percent. “Simply put, we don’t have enough female executives,” Kent-Willette said. “Women in many countries complete equal if not higher levels of education than men. Regardless of their academic achievement, women are less likely to work in executive management or decision-making roles. This year, each JU honoree received a glass award created by JU student-artists Krystina Cary and Cecilia Matthews. Mia L. Jones was born in Jacksonville, and attended Florida A&M University, where she graduated with a degree in accounting in 1991 and then a Master of Business Administration in 1992. After graduation, she worked under Ed Austin, the Mayor of Jacksonville, in the Office of Equal Employment from 1992 to 1995. She also worked for Duval County Public Schools as the Supervisor of Affirmative Action and the Director of Minority Business Affairs. She served on the Jacksonville City Council from 2003 to 2008. She was re-elected to represent District 14 on November 2014 for her fourth term in the Florida House of Representatives. Rep. Jones is an advocate in the area of healthcare and has worked diligently to ensure that all Floridians have access to quality Affordable Health Care. Since being elected, she has remained true to her platform of Promoting Economic Development in underserved communities, Partnering in Education to ensure that all students receive a quality education, Promoting long-term solutions to Infrastructure and Health Care Disparities, and ultimately working to improve the quality of life for the citizens she represents. Recognizing her commitment to these areas, Representative Jones has been appointed by Jacksonville Mayor Alvin Brown as his Special Assistant and Director of Boards and Commissions as well as Health Commissioner for the City of Jacksonville. At the state and national levels, Rep. Jones serves as the Florida House of Representatives Democratic Leader pro tempore (2012-2014), past Chair of the Florida Legislative Black Caucus, Regional Director for the National Black Caucus of State Legislators, Treasurer for the National Organization of Black Elected Legislative (NOBEL) Women, Regional Director for the National Foundation of Women Legislators, State Director for the National Order of Women Legislators, and State Director for Women in Government. Locally, she serves on the Board of Directors for the Community Hospice of Northeast Florida and the Tiger Academy. Married to George C. Davis, she is the youngest of three children born to Lawrence and Hannah Jones. Educated in the Duval County Public School System and graduated from Raines High School (Class of 1986), Rep. Jones holds a Bachelor of Science degree in Accounting and an MBA in Human Resource Management from Florida A & M University (FAMU). She is an active member of Bethel Baptist Institutional Church, Alpha Kappa Alpha Sorority Inc., a National Life Member of FAMU Alumni Association and ultimately a Community Trustee. Dr. Tammy Ryan is committed to making differences in the field of reading education. She explains that as a mother, teacher, professor of reading education and teacher preparation, she’s committed to preparing highly qualified teachers of reading to make differences in the literacy experiences of K-12 students. Her research investigates vocabulary development, uses of digital technologies, and preparation of highly effective teachers of reading who make immediate differences in reading outcomes. Her work on campus has led to student success off campus as well. 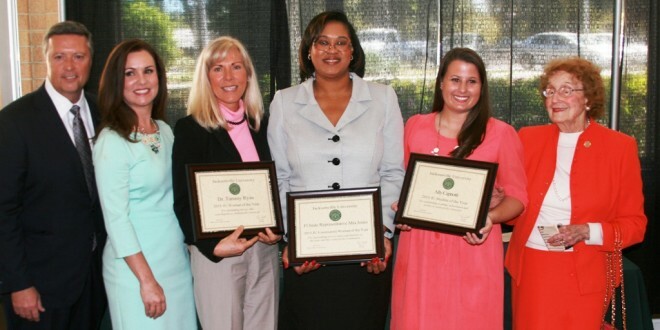 Under her leadership and direction, her students have successfully presented research at the prestigious National Conference of Undergraduate Research and the JU Symposium. 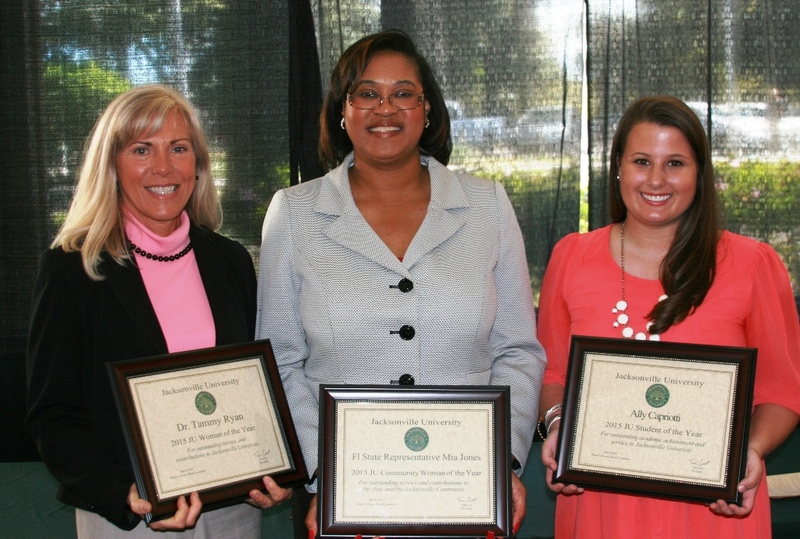 This fall, two of her students received the top award as National Role Model at the 15th annual Minority Access Conference in Washington, D.C.
Dr. Ryan is an active member of the campus, participating in faculty governance as a member of the most demanding committee of all: the curriculum committee. Chances are when you hear the name Dr. Tammy Ryan, you think of reading. Her passion for reading is contagious. She is the quintessential expert on reading education and teacher preparation not just here on campus, and not simply in the city of Jacksonville, but in our entire region of Florida, and beyond. On campus she designed the K-6 reading lab and runs the M.Ed. in Reading Education degree program. She established strong partnerships at The Carpenter’s Shop Center and Woodland Acres Boys and Girls Club in order to teach various reading courses at these agencies. She serves the greater community by organizing and hosting the Celebrating Teachers Celebrating Reading conference on the JU campus. Off campus, in the city of Jacksonville, Dr. Ryan serves on Mayor Brown’s education advisory council and has actively participated in the city’s annual Education Summit. She leads reading workshops for the Mayor’s Mentors, Big Brother’s Big Sisters mentors. Last spring she received Mayor Brown’s Educational Excellence Award for her contributions to the academic achievement and personal growth of students. Dr. Ryan’s scope extends far beyond the borders of Northeast Florida. Internationally, she conducts literacy and reading workshops in Guatemala and in Costa Rica. She in an active member of the International Reading Association, the National Literacy Association, Florida Reading Association, Guatemala Reading Council and Duval Reading Council. She presents her work yearly at national and international conferences, and her work is published nationally and internationally. Ally’s current cumulative GPA is 3.79, with a major in Sociology and minors in Education and Marketing. 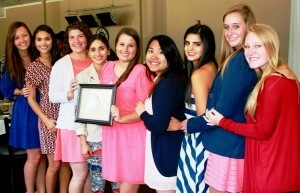 Her leadership roles include President of the JU PanHellenic Council 2014; Interim President of the Delta Delta Delta Sorority; other leadership roles in Delta Delta Delta as Vice President of Administration, Alumni Relations Chair, and Continuing Education Chair; JU Orientation Coordinator; Treasurer of the JU Sociology Club; and Vice President of Public Relations and Treasurer of the JU Student Alumni Association. 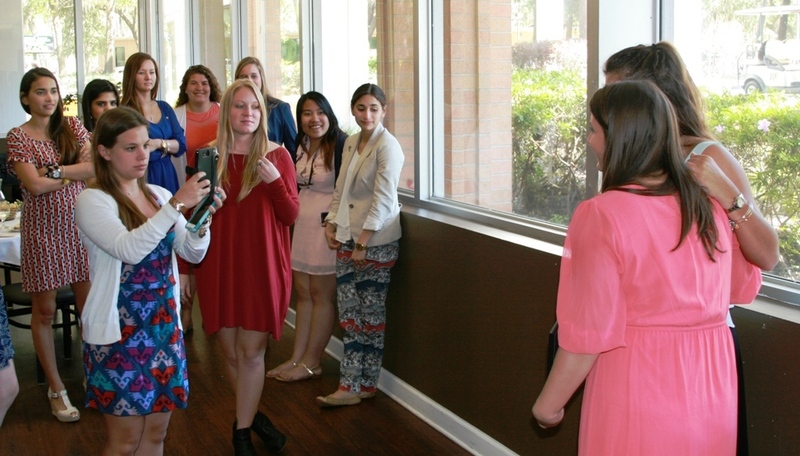 Her active involvement on campus, especially in leadership roles, enabled her to be selected for the Collegiate Leadership Jacksonville 2014 summer program. 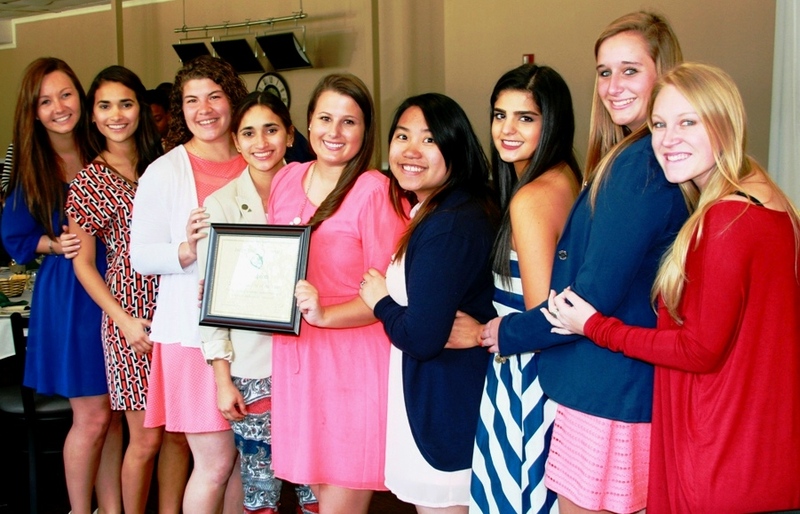 (Collegiate Leadership Jacksonville is the collegiate division of Leadership Jacksonville). She had internships with Communities in Schools and National Financial Services Group, in addition to working for JU Connect (JU fundraising) for the past three years.